The first event of the collaboration Entre Peninsulares took place on August 16, 2018 in Ensenada with the opening of the photography exhibition Transecto at Transpeninsular brewery. The exhibition is composed by 17 photographs that show Baja California’s flora, fauna and landscapes, as well as the nature reserves protected by Terra Peninsular. The goal is to promote the unique beauty found in the peninsula. The people who attended the opening participated in raffles and some won different products of Terra Peninsular such as caps and notebooks, and courtesy beverages by Transpeninsular brewery. 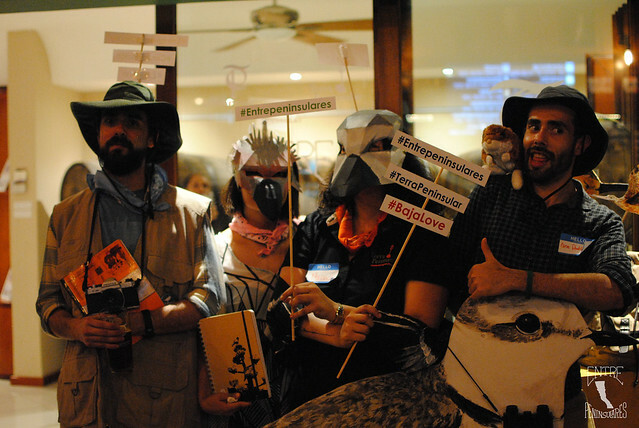 During the event we had photo booth props such as bird masks, kangaroo rats stuffed animals and hashtags. This event was a huge success! And it’s part of the collaboration between Terra Peninsular and Transpeninsular brewery known as Entre Peninsulares, which will be composed of different events that will be announced soon. The information about the upcoming activities will be available at the Facebook event Entre Peninsulares.